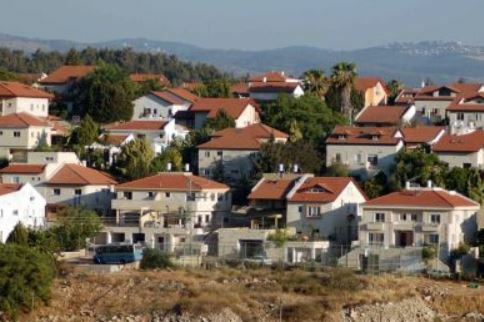 Hebrew media sources revealed that Arieh King, Director General of the Israel Land Fund (ILF) and member of the Jerusalem municipality, is preparing a scheme to establish a Jewish neighborhood in the north of Jerusalem. Hebrew weekly newspaper Yorshalim reported on Friday that the settlement neighborhood will be built on private land that extends over an area of 22 dunums, located in Kafr Aqab on the outskirts of the city of Ramallah, claiming that Jews bought the land about ten years ago. The said land is adjacent to the separation wall from the Palestinian side, and the plan includes construction of about 40 settlement units surrounded by gardens. The newspaper quoted King as saying that the price of each unit will be about 150 thousand dollars only, in order to encourage the Israelis to settle in the neighborhood. It noted that the plan has passed the initial phases of organization and is expected to be submitted soon to the relevant committees; however, the newspaper doubted that the planning committees will approve it because of the political sensitivity. Israeli plans unveiled Friday to build over 1,800 settler homes are a signal to US Secretary of State John Kerry not to pursue his peace push, a top Palestinian negotiator said. "The new settlement construction plan is a message from (Prime Minister Benjamin) Netanyahu to Kerry not to come back to the region to continue his efforts in Israeli-Palestinian peace talks," Saeb Erekat told AFP. "Every time Kerry has stepped up his efforts, returning to the region (for more talks), Netanyahu has stepped up his efforts to destroy the peace process," Erekat said. 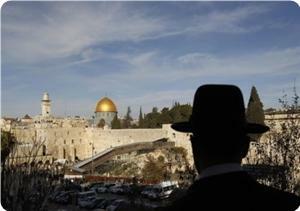 "Netanyahu is determined to destroy the two-state solution. "It is high time we held Israel accountable for its crimes," he added. 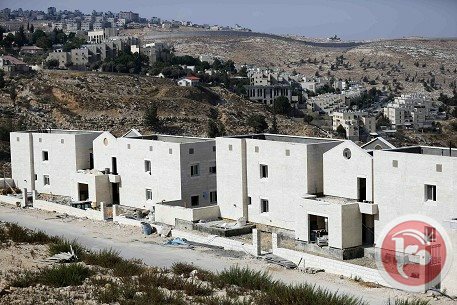 The Israeli housing ministry announced the plans for 1,076 new settlement units in annexed East Jerusalem and 801 in the occupied West Bank, said the Israeli settlement watchdog Peace Now. The housing ministry was not immediately available for comment. The move comes a week after Kerry visited the region in his latest effort to push Israeli and Palestinian leaders towards an elusive peace deal. Kerry kick-started negotiations in July after a three-year hiatus, but his 10th visit was clouded by bitter recriminations from both sides, who accused each other of lacking commitment to building peace after decades of conflict. 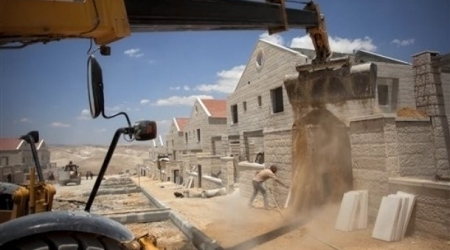 Israel has announced plans for thousands of settler homes since peace talks began in July. 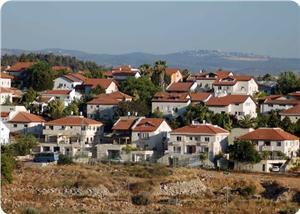 All settlements in the occupied West Bank and East Jerusalem are considered illegal under international law. The Israeli Housing Ministry on Friday announced bids for 1,800 settler homes in occupied East Jerusalem and the West Bank, Israeli media reported. The Israeli news site Ynet said that the Ministry issued a tender for building 1,800 new settlement homes -- over 1,000 in East Jerusalem and 800 in the West Bank. Walla, however, reported that 1,400 units would be built, including 600 in the Ramat Shlomo settlement of East Jerusalem and 800 in the West Bank. The announcement was originally scheduled for last week, but was postponed due to the visit of US Secretary of State John Kerry, the Walla report said. Three days before Israel released 26 veteran Palestinian prisoners in late December, military radio said that Israel planned to announce the construction of 1,400 new settlement homes in the occupied West Bank to coincide with the prisoner release. Israel refuses to allow Palestinians to use a World Bank funded landfill south of Jerusalem, reports Haaretz. The new landfill, funded by The World Bank, was intended to serve the palestinian population, but the Israeli administration is refusing the operation of the landfill if the Palestinian Authority who runs the landfill doesn’t agree to serve the illegal Israeli settlements as well. The landfill is the first modern landfill in the southern West Bank. 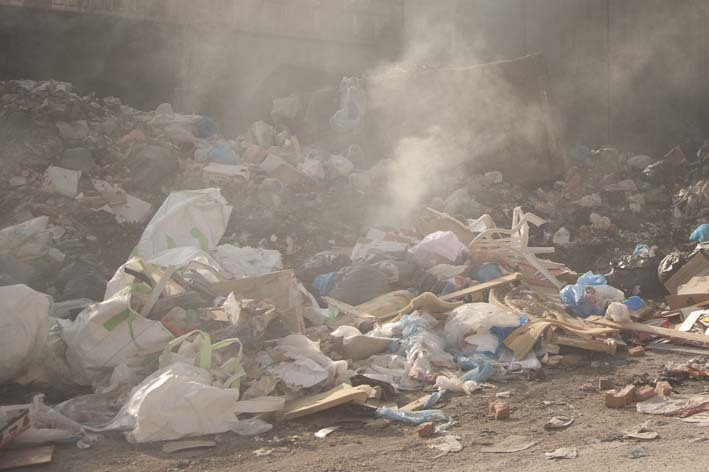 Since it can’t be used, some palestinian communities have to dump their garbage in non authorized sites, risking serious enviromental hazards such as polluting the ground water. The Defense Ministry’s Civil Administration refuses to allow the operation of a landfill funded by the World Bank and intended to serve the Palestinian population south of Jerusalem. The administration is demanding that the Palestinians agree to let the region’s settlements use the site as well, but the Palestinians refuse. The Al-Minya landfill east of Bethlehem was built in the last two years with funds the World Bank gave the Palestinian Authority. It is the first modern landfill in the southern West Bank, with means of sealing the earth to prevent waste from leaking into the groundwater. Another modern landfill, also set up with international funding, is already operating in the Jenin area. Since Al-Minya is in Area C, its construction required the Civil Administration’s approval. Currently the waste from the Hebron and Bethlehem communities is dumped in pirate sites that constitute serious environmental hazards. Some Palestinian communities dump the garbage in open areas and occasionally burn it to reduce its volume. Anti-settlement activist Dror Etkes said he visited the Al-Minya site this week and spoke to one of its operators, who told him the site is not operating even though its construction is completed because the Civil Administration insists on dumping the settlements’ garbage in it, too. A spokesman for the the Coordinator of Government Activities in the Territories (COGAT) said the Palestinian Authority, Civil Administration and World Bank advanced the landfill for the waste of the Bethlehem and Hebron regions, as well as for the communities near Jerusalem. The spokesman said the Palestinians reneged on their agreement to operate the site as a regional landfill that would serve the Jewish settlements as well. For this reason the Civil Administration won’t let the site to operate. However, the World Bank made it clear in the talks about the landfill’s operation last year that the funds it gave the Palestinian Authority are intended for the Palestinian population. Traditionally, the Palestinian Authority does not cooperate in the use of infrastructure facilities with the settlements, which it sees as illegitimate. A few waste management sites, however, have served both Palestinian and Jewish communities. The Israeli Tovlan landfill in the Jordan Valley took in garbage from Nablus, a landfill near Ramallah served settlers from the area and the Carmel site in the Hebron area served Israeli communities as well. The Israeli Prime Minister decided to delay publication of tenders for new settler housing units in the West Bank until after U.S. Secretary of State John Kerry visit to Israel and the Palestinian territories that is scheduled on Thursday. 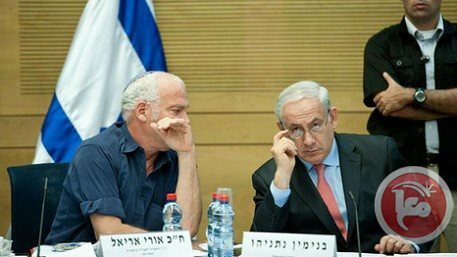 Haaretz newspaper reported that Netanyahu has asked Israeli Housing Minister Uri Ariel to delay publication of tenders for the construction of 1,400 new settler housing units in West Bank settlements and East Jerusalem. Kerry will arrive in Israel on Thursday afternoon for a series of meetings with Netanyahu and Palestinian President Mahmoud Abbas in order to continue efforts at drafting the "framework agreement" for peace talks, which the U.S. hopes to present by the end of the month, the newspaper added. Kerry is expected to stay in the region until Sunday, and is likely to extend his visit by a few extra days. It's worth mentioning that Netanyahu announced last week that he planned to publish the new tenders after the third stage of the Palestinian prisoner release, which was carried out on Monday night. Noted Palestinian figures said on Wednesday that the Israeli occupation authority (IOA) plans to annex a vast tract of Palestinian land on Azzeitoun Mount in east Jerusalem to establish a Jewish heritage village. This came in a conference held in Jerusalem under the rubric "Azzeitoun Mount and the danger of Judaization." In different speeches, the Palestinian figures urged the Palestinian Authority (PA) to confront Israel's Judaization and settlement activities in east Jerusalem. Sheikh Kamal Al-Khatib, deputy head of the Islamic Movement in the 1948 occupied lands, warned that this Israeli project poses a threat to the Arab and Islamic identity of the holy city and the Aqsa Mosque. 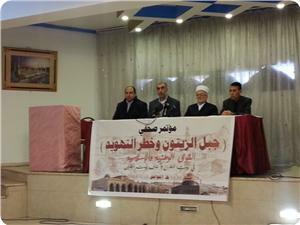 Sheikh Khatib noted that Azzeitoun Mount overlooks the Aqsa Mosque and such project is aimed at Judaizing its vicinity. "The plan to be carried out on Azzeitoun Mount is part of the 'Yerushalayim First' scheme that was prepared by the Zionist planner Zamosh and disclosed in 2007," he stated. He warned the Palestinian natives of Jerusalem not to believe the Israeli propaganda which claims that its project on Azzeitoun Mount would bring economic prosperity to east Jerusalem. "This project will seize what has remained of the Palestinian lands near the Aqsa Mosque and make it under the control of the occupation and its municipality," Sheikh Khatib stressed. For his part, Sheikh Ikrima Sabri, head of the higher Islamic authority in Jerusalem, said that this Jewish project is part of the Israeli plan aimed at seizing the largest possible area of Palestinian lands in east Jerusalem under the pretext of tourism. "Our mission is to expose this plan, state its gravity and to draw the attention of officials and decision-makers at the Palestinian Authority and in the Arab and Islamic worlds to its serious impacts," Sheikh Sabri said. 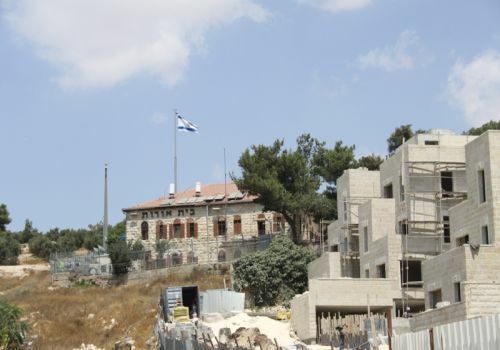 In another incident, the Palestinian residents of Wadi Hilwa neighborhood in Silwan district, south of the Aqsa Mosque, submitted their objection officially against an Israeli plan to build a tourist center for visitors as part of the alleged City of David project in the district. Israel's Jerusalem district planning and construction committee had approved in February 2012 the construction of a new visitors’ center at the City of David national park in Silwan. The center is a huge seven-story building and will be built on 16,000 square meters of seized Palestinian land. Israel’s interior minister lay down the foundations of a new Israeli settlement project in the Jordan Valley in the occupied West Banka, in a gesture of defiance that will coincide with US secretary of state John Kerry’s latest visit to the region to push forward peace talks. Gideon Sa’ar will preside at a groundbreaking ceremony for the new neighbourhood in Gitit, which organisers said was meant to demonstrate that the Jordan Valley – which the Palestinians see as the breadbasket of their independent state – “will always be Israeli”. The future of the Jordan Valley, a largely agricultural area in the West Bank which Israel wants to keep under its military control after any future peace agreement, has emerged as a big irritant in the five-month-old talks. Israel’s government infuriated the Palestinians on Sunday when a ministerial legislative committee approved a bill to annex the area, where a string of Israeli farming settlements established after the Six-Day war in 1967 stretches along the Jordanian frontier. Although the law will never pass without the approval of Prime Minister Benjamin Netanyahu – who is unlikely to push it forward while the US-sponsored peace talks continue – eight ministers in his government, including three from his own Likud party, voted to give it the green light. Commentators in Israel described the vote as political theatre engineered by his hard-right rivals inside government, but also criticised the prime minister for failing to put a stop to a move seen as provocative by the Palestinians and the Americans. Saeb Erekat, the Palestinians’ chief negotiator, said the annexation proposal “shows the extent of Israeli disrespect for international law”. Netanyahu’s government worries that a future Palestinian state would be vulnerable to takeover by groups hostile to Israel, as happened in the Gaza Strip after Israel withdrew in 2003, but the Palestinians firmly oppose any Israeli military presence there after independence. Responding to the Israeli move, the Palestinians on Tuesday held a cabinet meeting in a village in the Jordan Valley, which Prime Minister Rami Hamdallah said was meant to send the message to Israel and the Americans that the area “belongs to the Palestinians”. 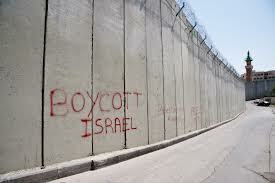 Israel’s occupation of the West Bank, Gaza and East Jerusalem is illegal under international law. 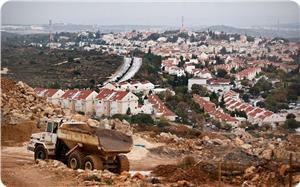 Separately, Israel will announce this week or next plans to proceed with about 1,400 new housing units in settlements, an official told the Financial Times. 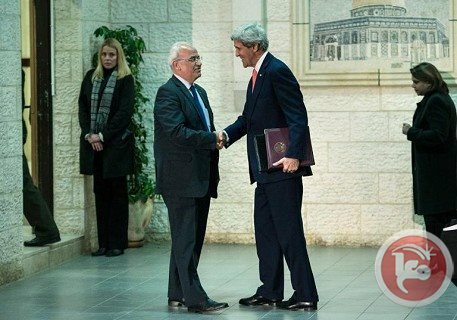 Mr Kerry is due to arrive on Thursday for meetings with Mr Netanyahu and Palestinian president Mahmoud Abbas, with the aim of narrowing differences between the two sides that would allow them to reach a framework agreement covering “final-status” issues including borders, security, refugees and the status of Jerusalem. The talks are scheduled to last until the end of April. Israeli officials said this week that the outline may include an endorsement of the West Bank’s 1967 borders with Israel, with some settlement land swapped for new Palestinian territory inside Israel, while asking the Palestinians to recognise Israel as a Jewish state. The Americans, who are trying to keep the talks secret, are not commenting on the issues discussed. A poll published on Wednesday found that 63 per cent of Israelis and 53 per cent of Palestinians surveyed supported the two-state solution that would see an independent Palestine established. However, support dropped to 54 per cent and 46 per cent respectively when those polled were quizzed on specifics of a peace deal. Israeli Interior Minister, Gideon Sa’ar, placed the cornerstone for a new illegal settlement in the occupied Jordan Valley of the West Bank, Palestine TV has reported. Israeli municipality in Jerusalem intends to build a nine-story structure for a yeshiva (a Jewish religious school) in Sheikh Jarrah neighborhood in East Jerusalem, Haaretz newspaper reported on Wednesday. The paper indicated that the scheme will be implemented despite the opposition of the professional bodies in the municipality, who said that the plan would not serve the residents of Sheikh Jarrah. It added that the new yeshiva building will be built on an area of four dunums and will include nine stories in addition to three ground floors. 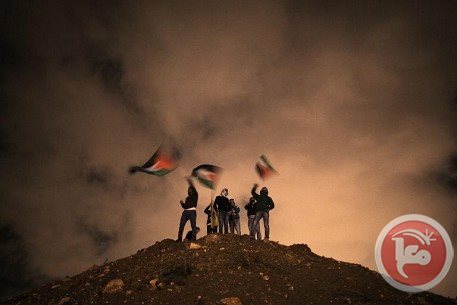 Meanwhile, teams of the Jerusalem Municipality, under police protection, removed on Wednesday dozens of Palestinian flags hung by young men at dawn Wednesday on the 49th anniversary of the start of the Palestinian revolution, in the streets of Sawana neighborhood east of Jerusalem. Jerusalemite activist Nidal Abu Gariba stressed in a press statement that the Palestinian presence in Jerusalem and the steadfastness of the city's residents represent the biggest obstacle to the occupation schemes that target the occupied city. President Mahmoud Abbas warned Tuesday of legal and diplomatic action to stop Israeli settlement expansion, on the eve of a new peace mission by US Secretary of State John Kerry. Abbas's warning came after Israel freed 26 prisoners earlier in the day, as part of US-brokered peace talks, which Kerry hopes to reinvigorate during his visit. of further settlement construction looked set to cast a new cloud over the talks. Abbas warned the Palestinians would take action to halt any such construction in territories they expect to form part of their promised state. "We will not remain patient as the settlement cancer spreads, especially in (annexed East) Jerusalem, and we will use our right as a UN observer state by taking political, diplomatic and legal action to stop it," he said. "These actions show a lack of seriousness on the Israeli side in the negotiations and threaten to destroy the two-state solution." Kerry has been pressing the two sides to agree on a framework for a final peace agreement ahead of an agreed late April target date for the talks to conclude. The prisoners were the third batch of 104 detainees that Netanyahu pledged to release in four stages when the peace talks were revived in July. All were imprisoned before the 1993 Oslo accords, which launched the Middle East peace process. The freed prisoners were welcomed back to Ramallah in the West Bank, with others to East Jerusalem and the remainder to the Hamas-ruled Gaza Strip. Hamas hailed the prisoner release, but reiterated their rejection of the peace talks and slammed the notion that freeing prisoners justified Israeli settlement expansion. "The release of any prisoner is a gain for our people," Gaza's Hamas prime minister Ismail Haniya said. "But we reject negotiating with the occupation (Israel) and we do not accept that settlements should be expanded in exchange for that." Netanyahu meanwhile criticized the hero's welcome given to the released prisoners, who had served 19 to 28 years after being convicted of killing Israeli civilians or soldiers. "While we are prepared to take very painful steps in an effort to try and reach an agreement ... they, along with their highest leadership, are celebrating," he said. A senior US State Department official speaking on condition of anonymity described the release as "really painful, difficult on the Israeli side". Tuesday's release was expected to be accompanied by an announcement of new construction plans for Jewish settlements in the occupied West Bank, including east Jerusalem, as the previous two prisoner releases were. Such a move is likely to infuriate the PLO and the international community, providing a further challenge for Kerry, whose intense shuttle diplomacy managed to revive the talks after a three-year hiatus. But Netanyahu has come under strong pressure from hardliners both within his rightwing Likud party and its more hawkish coalition partners to take a stand. Kerry will also have to quell tensions that rose after an Israeli ministerial committee on Sunday gave initial approval to a bill annexing Jordan Valley settlements, a largely symbolic move expected to be shot down by the government. Abbas reiterated total rejection of Israel's demand to maintain a military presence in the Jordan Valley, which forms a third of the occupied West Bank. "We have said that the Palestinian people is the one most in need of security, and is the one who needs guarantees of protection against the aggression of the occupation and the settlers."